Guinney, J., Wang, T., Laajala, T.D., Winner, K.K., Bare, J.C., Neto, E.C., et al, Xie, Y., Aittokallio, T., Zhou, F.L., Costello, J.C. (2017) Prediction of overall survival for patients with metastatic castration-resistant prostate cancer: development of a prognostic model through a crowdsourced challenge with open clinical trial data, The Lancet Oncology 18(1):132-42. Tang, H., Wang, S., Xiao, G., Schiller, J., Papadimitrakopoulou, V., Minna, J., Wistuba, I.I., Xie, Y. Comprehensive evaluation of published gene expression prognostic signatures for biomarker-based lung cancer clinical studies, Annals of Oncology (in press). Lee, S., Liang, F., Cai, Ling., Xiao, G.* (2016) Integrative analysis of gene networks and their application to lung adenocarcinoma studies, Cancer Informatics (In press). Chen, W., Hill, H., Christie, A., Kim, M.S., Holloman, E., et. al., Xie, Y., Xie, X.J., Kapur, P., McKay, RM., Brugarolas, J. (2016) Targeting renal cell carcinoma with a HIF-2 antagonist, Nature 539(7627):112-7. Yang, J., Tang, H., Li, Y., Zhong, R., Wang, T., Wong, S., Xiao, G., and Xie, Y. * (2015) DIGRE: Drug Induced Genomic Residual Effect Model for Successful Prediction of Multidrug Effects, CPT: Pharmacometrics & Systems Pharmacology DOI: 10.1002/psp4.1. Yu, D., Won, S., Lim, J., and Xiao, G* (2015) Statistical completion of a partially identified graph with applications for the estimation of gene regulatory networks, Biostatistics pii: kxv013. [Epub ahead of print]. Zhong, R., Dong, X., Levine, B., Xie, Y., and Xiao, G.* (2015) iScreen: Image-Based High-Content RNAi Screening Analysis Tools, J Biomol Screen pii: 1087057114564348. [Epub ahead of print]. Sei, E.#, Wang, T.#, Hunter, O.V., Xie, Y. *, and Conrad, N.K. * (2015) HITS-CLIP Analysis Uncovers a Link between the Kaposi's Sarcoma-Associated Herpesvirus ORF57 Protein and Host Pre-mRNA Metabolism, PLoS Pathogens 24;11(2):e1004652. Tang, H., Sebti, S., Titone, R., Zhou, Y., Isidoro, C., Ross, T., Hibshoosh, H., Xiao, G., Packer, M., Xie, Y. *, and Levine, B. * (2015) Decreased BECN1 mRNA Expression in Human Breast Cancer is Associated with Estrogen Receptor-Negative Subtypes and Poor Prognosis, EBioMedicine 2, 255-263. Wang, T., Zhan, X., Bu, CH., Lyon, S., Pratt, D., Hildebrand, S., Choi, J.H., Zhang, Z., Zeng, M., Wang, K.W., Turer, E., Chen, Z., Zhang, D., Yue, T., Wang, Y., Shi, H., Wang, J., Sun, L., SoRelle, J., McAlpine, W., Hutchins, N., Zhan, X., Fina, M., Gobert, R., Quan, J., Kreutzer, M., Arnett, S., Hawkins, K., Leach, A., Tate, C., Daniel, C., Reyna, C., Prince, L., Davis, S., Purrington, J., Bearden, R., Weatherly, J., White, D., Russell, J., Sun, Q., Tang, M., Li, X., Scott, L., Moresco, E.M., McInerney, G.M., Karlsson, Hedestam, G.B., Xie, Y., Beutler, B. (2015) Real-time resolution of point mutations that cause phenovariance in mice, Proc Natl Acad Sci U S A 112(5):E440-9. Wang, T., Xie, Y., and Xiao, G.* (2014) dCLIP: a computational approach for comparative CLIP-seq analyses, Genome biology 15, R11. Xiao, G., Ma, S., Minna, J., and Xie, Y. * (2014) Adaptive prediction model in prospective molecular signature-based clinical studies, Clin Cancer Res 20, 531-539. Chen, B., Yun, J., Kim, M. S., Mendell, J. T., and Xie, Y. * (2014) PIPE-CLIP: a comprehensive online tool for CLIP-seq data analysis, Genome biology 15, R18. Yun, J., Wang, T., and Xiao, G. (2014) Bayesian hidden Markov models to identify RNA-protein interaction sites in PAR-CLIP, Biometrics 70, 430-440. Zhong, R., Kim, J., Kim, H. S., Kim, M., Lum, L., Levine, B., Xiao, G., White, M. A., and Xie, Y. 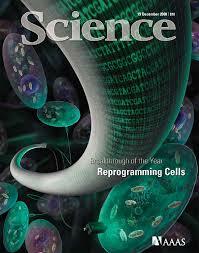 * (2014) Computational detection and suppression of sequence-specific off-target phenotypes from whole genome RNAi screens, Nucleic acids research 42, 8214-8222. Wang, T., Chen, B., Kim, M., Xie, Y., and Xiao, G.* (2014) A model-based approach to identify binding sites in CLIP-Seq data, PloS one 9, e93248. Kwon, I., Xiang, S., Kato, M., Wu, L., Theodoropoulos, P., Wang, T., Kim, J., Yun, J., Xie, Y., and McKnight, S. L. (2014) Poly-dipeptides encoded by the C9ORF72 repeats bind nucleoli, impede RNA biogenesis, and kill cells, Science. Sean Landman Tae Hyun Hwang*, Kevin Silverstein, Yingming Li, Scott Dehm, Michael Steinbach, and Vipin Kumar, SHEAR: sample heterogeneity estimation and assembly by reference, BMC Genomics. 2014 Jan 29;15(1):84. Wang, C.*, X. Zhan*, J. Bragg-Gresham, H. M. Kang, D. Stambolian, E. Y. Chew, K. E. Branham, J. Heckenlively, R. Fulton, R. K. Wilson, E. R. Mardis, X. Lin, A. Swaroop, S. Zollner, and G. R. Abecasis. 2014. "Ancestry estimation and control of population stratification for sequence-based association studies." Nat Genet. doi: 10.1038/ng.2924. Liu, D. J. *, G. M. Peloso*, X. Zhan*, O. L. Holmen*, M. Zawistowski, S. Feng, M. Nikpay, P. L. Auer, A. Goel, H. Zhang, U. Peters, M. Farrall, M. Orho-Melander, C. Kooperberg, R. McPherson, H. Watkins, C. J. Willer, K. Hveem, O. Melander, S. Kathiresan, and G. R. Abecasis. 2014. "Meta-analysis of gene-level tests for rare variant association." Nat Genet no. 46 (2):200-4. doi: 10.1038/ng.2852. Li, M., Z. He, M. Zhang, X. Zhan, C. Wei, R. C. Elston, and Q. Lu. 2014. "A generalized genetic random field method for the genetic association analysis of sequencing data." Genet Epidemiol no. 38 (3):242-53. doi: 10.1002/gepi.21790. Zhong, R., Kim, M. S., White, M. A., Xie, Y., and Xiao, G.* (2013) SbacHTS: spatial background noise correction for high-throughput RNAi screening, Bioinformatics (Oxford, England) 29, 2218-2220. Yang, J., Wang, X., Kim, M., Xie, Y., and Xiao, G.* (2013) Detection of candidate tumor driver genes using a fully integrated Bayesian approach, Statistics in medicine 33, 1784-1800. Wei, Y., Zou, Z., Becker, N., Anderson, M., Sumpter, R., Xiao, G., Kinch, L., Koduru, P., Christudass, C. S., Veltri, R. W., Grishin, N. V., Peyton, M., Minna, J., Bhagat, G., and Levine, B. (2013) EGFR-mediated Beclin 1 phosphorylation in autophagy suppression, tumor progression, and tumor chemoresistance, Cell 154, 1269-1284. Wang, X., Zang, M., and Xiao, G.* (2013) Epigenetic change detection and pattern recognition via Bayesian hierarchical hidden Markov models, Statistics in medicine 32, 2292-2307. Tang, H., Xiao, G., Behrens, C., Schiller, J., Allen, J., Chow, C. W., Suraokar, M., Corvalan, A., Mao, J., White, M. A., Wistuba, II, Minna, J. D., and Xie, Y. * (2013) A 12-gene set predicts survival benefits from adjuvant chemotherapy in non-small cell lung cancer patients, Clin Cancer Res 19, 1577-1586. Potts, M. B., Kim, H. S., Fisher, K. W., Hu, Y., Carrasco, Y. P., Bulut, G. B., Ou, Y. H., Herrera-Herrera, M. L., Cubillos, F., Mendiratta, S., Xiao, G., Hofree, M., Ideker, T., Xie, Y., Huang, L. J., Lewis, R. E., MacMillan, J. B., and White, M. A. (2013) Using functional signature ontology (FUSION) to identify mechanisms of action for natural products, Science signaling 6, ra90. He, C., Wei, Y., Sun, K., Li, B., Dong, X., Zou, Z., Liu, Y., Kinch, L. N., Khan, S., Sinha, S., Xavier, R. J., Grishin, N. V., Xiao, G., Eskelinen, E. L., Scherer, P. E., Whistler, J. L., and Levine, B. (2013) Beclin 2 functions in autophagy, degradation of G protein-coupled receptors, and metabolism, Cell 154, 1085-1099. Xiao, G., Wang X., Quincey L., Nestler E. J., and Xie, Y. * (2013) Detection of epigenetic changes using ANOVA with spatially varying coefficients, Statistical applications in genetics and molecular biology 12, 189-205. Chen, M., Zang, M., Wang, X., and Xiao, G.* (2013) A powerful Bayesian meta-analysis method to integrate multiple gene set enrichment studies, Bioinformatics (Oxford, England) 29, 862-869. Donghyeon Yu, MinSoo Kim, Xiao, G. and Tae Hyun Hwang*, Review of Biological Network Data and its Applications, Genomics Inform. 2013 Dec;11(4):200-210. He, Z., M. Zhang, X. Zhan, and Q. Lu. 2014. "Modeling and testing for joint association using a genetic random field model." Biometrics. doi: 10.1111/biom.12160. Zhan, X. *, D. E. Larson*, C. Wang*, et al, and G. R. Abecasis. 2013. "Identification of a rare coding variant in complement 3 associated with age-related macular degeneration." Nat Genet no. 45 (11):1375-9. doi: 10.1038/ng.2758. Li, B. *, X. Zhan*, M. K. Wing, P. Anderson, H. M. Kang, and G. R. Abecasis. 2013. "QPLOT: a quality assessment tool for next generation sequencing data." Biomed Res Int no. 2013:865181. doi: 10.1155/2013/865181. Hu, Y., C. Willer, X. Zhan, H. M. Kang, and G. R. Abecasis. 2013. "Accurate local-ancestry inference in exome-sequenced admixed individuals via off-target sequence reads." Am J Hum Genet no. 93 (5):891-9. doi: 10.1016/j.ajhg.2013.10.008. Xie, Y., and Minna, J. D. (2012) A lung cancer molecular prognostic test ready for prime time, Lancet 379, 785-787. Wang, R. C., Wei, Y., An, Z., Zou, Z., Xiao, G., Bhagat, G., White, M., Reichelt, J., and Levine, B. (2012) Akt-mediated regulation of autophagy and tumorigenesis through Beclin 1 phosphorylation, Science 338, 956-959. Zhang, Y., Xie, Y., Berglund, E.D., Coate, K.C., He, T.T., Katafuchi, T., Xiao, G., Potthoff, M.J., Wei, W., Wan, Y., Yu, R.T., Evans, R.M., Kliewer, S.A., Mangelsdorf, D.J. (2012) The starvation hormone, fibroblast growth factor-21, extends lifespan in mice, eLife 1:e00065. PMCID: 3466591. Wang, X., Chen, M., Khodursky, A. B., and Xiao, G.*. 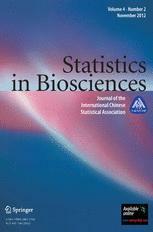 (2012) Bayesian Joint Analysis of Gene Expression Data and Gene Functional Annotations, Statistics in Biosciences 4, 300-318. Ma, S., Dai, Y., Huang, J., and Xie, Y. * (2012) Identification of Breast Cancer Prognosis Markers via Integrative Analysis, Computational statistics & data analysis 56, 2718-2728. He, C., Bassik, M. C., Moresi, V., Sun, K., Wei, Y., Zou, Z., An, Z., Loh, J., Fisher, J., Sun, Q., Korsmeyer, S., Packer, M., May, H. I., Hill, J. A., Virgin, H. W., Gilpin, C., Xiao, G., Bassel-Duby, R., Scherer, P. E., and Levine, B. (2012) Exercise-induced BCL2-regulated autophagy is required for muscle glucose homeostasis, Nature 481, 511-515. Han, T. W., Kato, M., Xie, S., Wu, L. C., Mirzaei, H., Pei, J., Chen, M., Xie, Y., Allen, J., Xiao, G., and McKnight, S. L. (2012) Cell-free formation of RNA granules: bound RNAs identify features and components of cellular assemblies, Cell 149, 768-779. Allen, J. D., Xie, Y., Chen, M., Girard, L., and Xiao, G.* (2012) Comparing statistical methods for constructing large scale gene networks, PloS one 7, e29348. Allen, J. D., Wang, S., Chen, M., Girard, L., Minna, J. D., Xie, Y., and Xiao, G.* (2012) Probe mapping across multiple microarray platforms, Briefings in bioinformatics 13, 547-554. Tae Hyun Hwang, Maoqiang Xie, Gowtham Atluri, Sanjoy Dey, Changjin Hong, Vipin Kumar, and Rui Kuang., Co-clustering Phenome-genome for Phenotype Classification and Disease Gene Discovery, Nucleic Acids Research, 2012 Jun., doi: 10.1093/nar/gks615. Young-Mi Kim, Matthew Stone, Tae Hyun Hwang, Yeon-Gil Kim, Timothy J. Griffin, and Do-Hyung Kim, SH3BP4 is a negative regulator of amino acid-Rag GTPase-mTORC1, Molecular Cell, 2012 May, doi:10.1016/j.molcel.2012.04.007. Yingming Li*, Tae Hyun Hwang*, LeAnn Oseth, Betsy Hirsch, Robert Vessella, Kenny Beckman, Kevin Silverstein, and Scott Dehm, AR intragenic deletions linked to Androgen Receptor Splice Variant Expression and Activity in Models of Prostate Cancer Progression, Oncogene, 2012 Jan., doi:10.1038/onc.2011.637. Tae Hyun Hwang, Wei Zhang, Maoqiang Xie, Jinfeng Liu, and Rui Kuang, Inferring Disease and Gene Set Associations with Rank Coherence in Networks, Bioinformatics 2011 1;27(19):2692-9. Epub 2011 Aug 8. Xie, Y., Xiao, G., Coombes, K. R., Behrens, C., Solis, L. M., Raso, G., Girard, L., Erickson, H. S., Roth, J., Heymach, J. V., Moran, C., Danenberg, K., Minna, J. D., and Wistuba, II. (2011) Robust gene expression signature from formalin-fixed paraffin-embedded samples predicts prognosis of non-small-cell lung cancer patients, Clin Cancer Res 17, 5705-5714. Xiao, G., Wang, X., and Khodursky, A. B. (2011) Modeling Three-Dimensional Chromosome Structures Using Gene Expression Data, Journal of the American Statistical Association 106, 61-72. Wang, S., Wang, Y., Xie, Y., and Xiao, G.* (2011) A novel approach to DNA copy number data segmentation, Journal of bioinformatics and computational biology 9, 131-148. Orvedahl, A., Sumpter, R., Jr., Xiao, G., Ng, A., Zou, Z., Tang, Y., Narimatsu, M., Gilpin, C., Sun, Q., Roth, M., Forst, C. V., Wrana, J. L., Zhang, Y. E., Luby-Phelps, K., Xavier, R. J., Xie, Y., and Levine, B. (2011) Image-based genome-wide siRNA screen identifies selective autophagy factors, Nature 480, 113-117. Jeong Y, Xie, Y., Xiao, G., Behrens C, Girard L, Wistuba II, Minna JD, Mangelsdorf DJ, Nuclear receptor expression defines a set of prognostic biomarkers for lung cancer. PLoS Med, 2010. 7(12): p. e1000378. Xie, Y. and J.D. Minna, Non-small-cell lung cancer mRNA expression signature predicting response to adjuvant chemotherapy. J Clin Oncol, 2010. 28(29): p. 4404-7. Xie, Y. and C. Ahn, Statistical methods for integrating multiple types of high-throughput data. Methods Mol Biol, 2010. 620: p. 511-29. Xie, Y., JK, Pan W, Xiao, G., Khodursky A. A Bayesian Approach to Joint Modeling of Protein-DNA Binding, Gene Expression and Sequence Data. Statistics in Medicine. 2010 Feb 20;29(4):489-503.PMID:20049751. Laplant Q, Vialou V, Covington HE 3rd, Dumitriu D, Feng J, Warren BL, Maze I, Dietz DM, Watts EL, Iñiguez SD, Koo JW, Mouzon E, Renthal W, Hollis F, Wang H, Noonan MA, Ren Y, Eisch AJ, Bolaños CA, Kabbaj M, Xiao, G., Neve RL, Hurd YL, Oosting RS, Fan G, Morrison JH, Nestler EJ. Dnmt3a regulates emotional behavior and spine plasticity in the nucleus accumbens. Nature Neuroscience. 2010 Sep 13(9):1137-43. Xie, Y., et al., A Bayesian approach to joint modeling of protein-DNA binding, gene expression and sequence data. Stat Med, 2010. 29(4): p. 489-503. Lu, H., U.S. Yezhuvath, and Xiao, G.*, Improving fMRI sensitivity by normalization of basal physiologic state. Hum Brain Mapp, 2010. 31(1): p. 80-7.